Product Description This model kit assembles into an articulated colored figure;Easy to snap together and molded in separate colors so no glue required or paint required;Runner x11, foil sticker x1, dry decal x1, instruction manual From the Manufacturer Action figure model kit of Eva unit 01 used by Shinji Ikari in "Neon Genesis Evangelion". A rubber like sleeve encapsulates the joints in the forearms producing the iconic powered suit appearance of the Eva units. Iconic accessories include removable entry plug, umbilical chord, positron sniper rifle, progressive knife, pallet rifle, sonic glaive. Mouth can open! Unpainted figure of Shinji in pilot suit included. 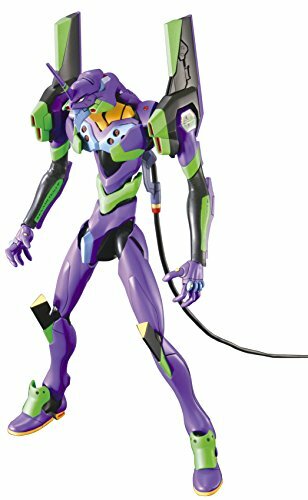 This highly detailed kit of EVA-01 as it appears in Evangelion 2.0 movie series features nicely articulated joints (including seamless arm joints) and comes armed with a progressive knife that can be stored in its left shoulder armor, Gatling gun, and a pallet rifle. Other accessories include an entry plug that can be inserted behind EVA-01's neck, six optional hands, and an AT field with an opening in the middle that can be shown being broken/generated. Dry transfer decals and foil stickers are included to detail the kit even further after completion. All new design with body color based on the "Rebuild of Evangelion" movies. 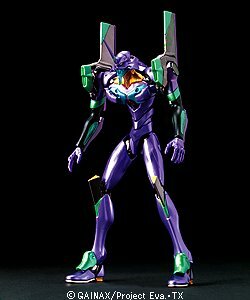 This highly detailed kit of EVA-01 as it appears in the "Rebuild of Evangelion" movie series features nicely articulated joints (including seamless arm joints) and comes armed with a progressive knife that can be stored in its left shoulder armor, gatling gun, and a pallet rifle. 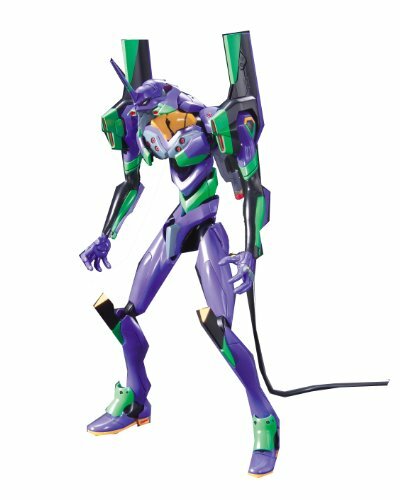 Other accessories include an entry plug that can be inserted behind EVA-01's neck, six optional hands, and an AT field with an opening in the middle that can be used to recreate the memorable scene where EVA-01 tore open Sachiel's AT field. Dry transfer decals and foil stickers are included to detail the kit even further after completion. Finished height approximately 7-8". Fastest in the industry, figure with great impact. Awakening Ver. Eva Test Type-01 [New Theatrical Version: Breaking] Edition! - The Awakening Ver. 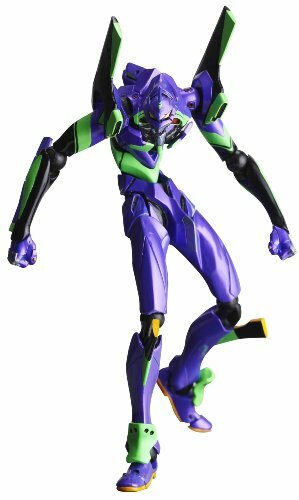 Eva Test Type-01 from the second half of the new movie [Evangelion New Theatrical Version: Breaking] enters the Revoltech series with impact and speed! 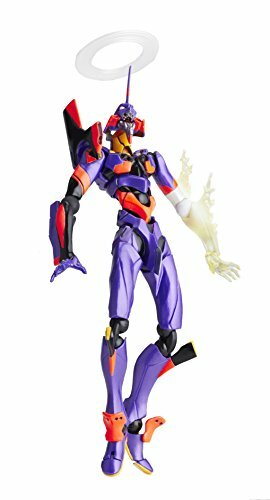 - Adding new parts to the Eva Test Type-01 [Evangelion New Theatrical Version: Breaking] edition (Revoltech Yamaguchi No.67), to emphasize the change of body color. - Here is an arrival of Type-01 with completely different impression. - The head part during berserk mode, the sliced upper arm, and the re-grown fore arm has been reconstructed. - The regenerated arm part has been made with clear material to match the movie. - Comes with normal arm, so you can enjoy it as a alternative colored Type-01. - Wide range of mobility due to the use of 10 joints. - The stomach armor part individually mobile, allows for the upper body to crouch deeply. - The shoulder armor (+ toes) uses 'Wrist Joint', allowing for the shoulder and arm parts to move separately. - Uses two types of effect parts to match the scene from the movie. - Includes a pallet rifle and 14 optional hand parts. Without question, this is the ultimate EVA kit. The completed item stands 34.5cm high, bigger than nearly every other EVA kit that has been released. The basic structure is completely different from the existing LM-HG kits. An inner, posable skeleton of heavy-duty, semi-hard plastic is covered by soft, black, rubber covers that conceal the inner frame at the "gaps" in the EVA's armor at joints, on the abdomen and other places. This rubber suit is then covered in turn by the usual outer plastic panels. This structure, the designers say, give it a durability and poseability well beyond what you are used to seeing in Bandai HG and MG kits. Also, in addition to doing all the things that the LM-HG kits do, this kit's shoulder panels open (both sides) for weapon storage, and a plug-in power pack (takes 2 AAA batteries) lights up the EVA logos on its shoulders. Five sets of hands are included, as are the Pallet Gun, Progressive Knife, Two swords (long & short) with scabbards, the inner Eva head and a red metallic-plated "core." From Kaiyodo. This rendition of the popular fighter stands 5-1/2" tall and is locked & loaded for battle with alternate hands, weapons, and more! 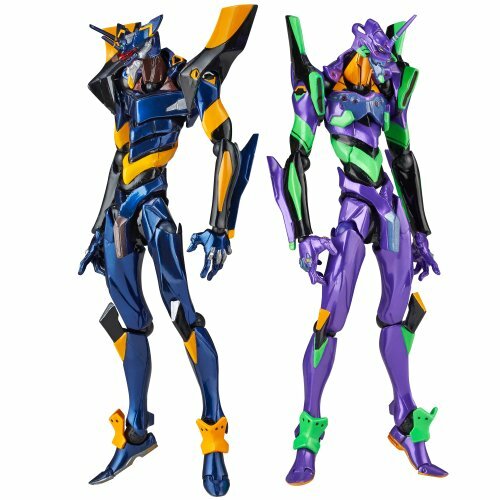 Looking for more Evangelion Eva 01 Test Type similar ideas? Try to explore these searches: Praise And Worship Hymns, Base Adjustable Support, and 89 Suzuki Sidekick Rear. 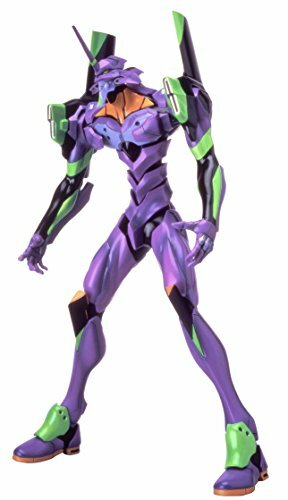 Look at latest related video about Evangelion Eva 01 Test Type. Shopwizion.com is the smartest way for online shopping: compare prices of leading online shops for best deals around the web. 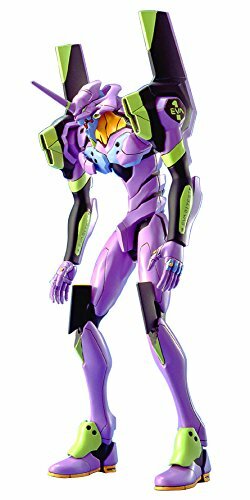 Don't miss TOP Evangelion Eva 01 Test Type deals, updated daily.